Forget lions, tigers and bears...there is a lot more to say, "Oh my!" about this Howl-o-ween. Think creepy crawlers, witches' brews, lonely ghosts and terrible goblins. Scotties everywhere will take on another character, channeling their alter egos, the super cute and cuddly, or even the fierce and ferocious when selecting the perfect costume for the spooky occasion. Not only will there be tricks (isn't it in every Scottie's nature to create some mischief?) but surely there also will be treats. And we are inviting all our furry friends to take part in an extra special Howl-o-ween Pawty on Oct. 31. Join us for a virtual parade of costumes, a treat recipe swap and a showcase of trickery...Come dressed in your best, furry friends! Here's how it works: Have your human post photos of you in costume and videos of your very best tricks on any of Scottie Mom's social networks. 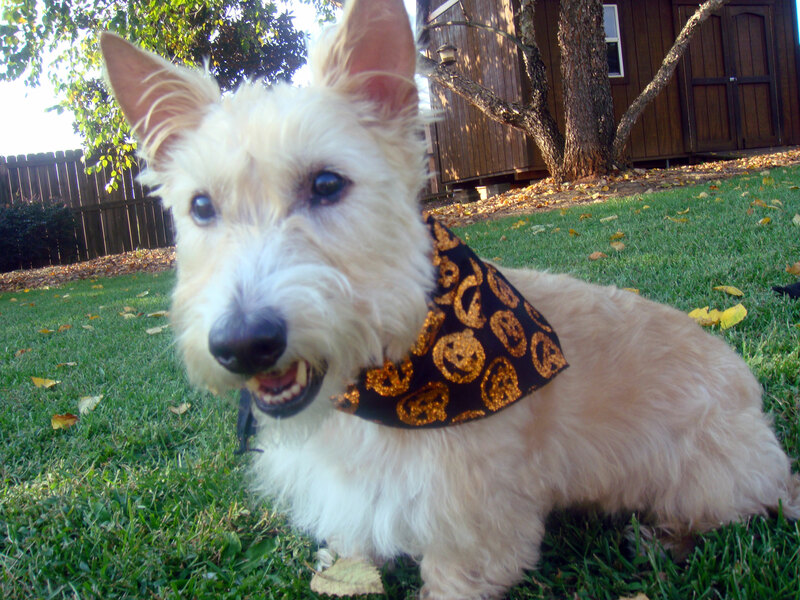 Be sure to tag @TheScottieMom and use hashtag #HowlOweenPawty. Not on Facebook, Twitter or Instagram? Send your picture to thescottiemom(at)gmail(dot)com and we'll make sure everyone sees it. ArRRrOo! Thing 1 and Thing 2! Arooooo! Nice costumes you've got there! Just wanted to share story. The missing dog looks just like my Dewy. Thanks. I think to wear kilts would be great :o) maybe your mom could play some music on a bagpipe? I'm scary enough. There is no scarier terrier. You two look so cute and ready for Halloween. I love the pumpkin scarf. 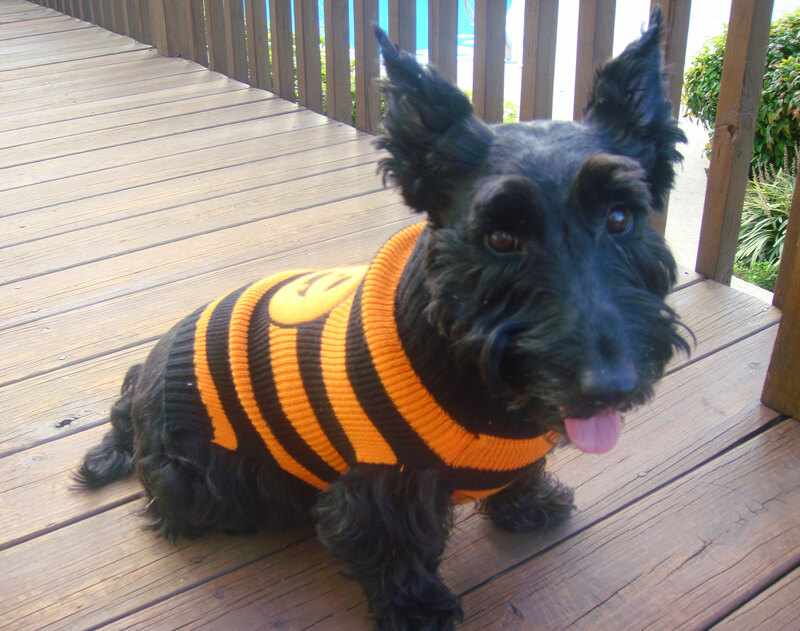 I think the cutest costume I ever saw on a scottie was a scarecrow costume. Of course the scottie was working the costume. Buzzzzzzz….I love your costumes. Fun. Scotties on parade for Halloween! This sounds like fun. But my peep isn't really into Howl-o-ween, it's not really a thing her in Aus. I love Howl-o-ween. We're having a ball over at my place, hope you'll be coming along! You are a Great Scottie Mom!!! !